In a competitive field of 70 other rally cars, Richard Weaver, co-driven by James Pink, took the Wight Rally Sport Team to a first-in-class E win, in their Mitsubishi Evo 6 rally car. 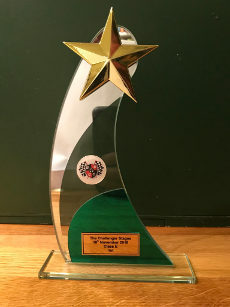 Isle of Wight rally driver, Richard Weaver, emerged victorious at The Challenger Stages rally event, held at Bovington Army Camp near Poole in Dorset, last Sunday 18th November. 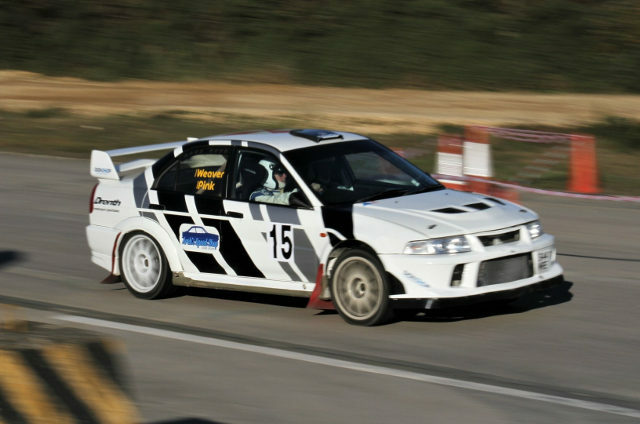 In a competitive field of 70 other rally cars, Richard, co-driven by James Pink, took the Wight Rally Sport Team to a first-in-class E win, in their Mitsubishi Evo 6 rally car. Driving on the undulating concrete roads that form part tank training ground, there were six separate stages of up to ten miles each. The team held their nerve to take class honours on the very fast roads, overcoming early problems on stage one with severe wheel vibration causing them to back off. The problem was resolved at the service halt, after which Richard and James went on to successfully complete the remaining five stages. A small drama on stage four, due to a minor collision with a chicane constructed of steel barriers only caused cosmetic damage. Despite this scare, they ended the day as class winners and ninth overall. The pair will aim to tackle round one of the ACSMC rally championship in January at the Brands Hatch Stages rally.